This action (kindly donated by Peter Thörnqvist) is an enhanced version of the Prompt for Variables action that allows you to specify the control types to be used at runtime in the prompt form. The action also has more features and allows greater customisation. The general settings lets you customise the dialog appearance. 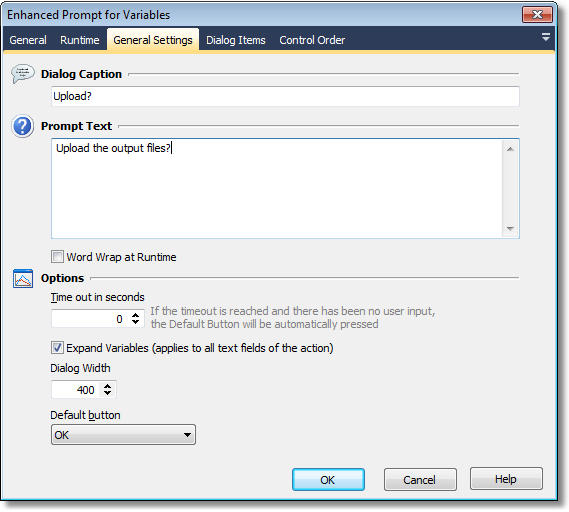 Dialog Caption - the text to appear in the dialog header. Prompt Text - the text to appear at the top of the dialog (optional). 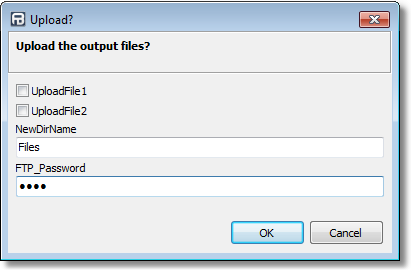 Word Wrap at Runtime - set this to automatically wrap the prompt text according to the width of the dialog. Dialog Width - set the width of the dialog at runtime. You may want to adjust this to a larger width to accommodate large pathnames or other options that require a lot of horizontal space. Be aware that the size of the dialog isn't too big for your user's monitors. 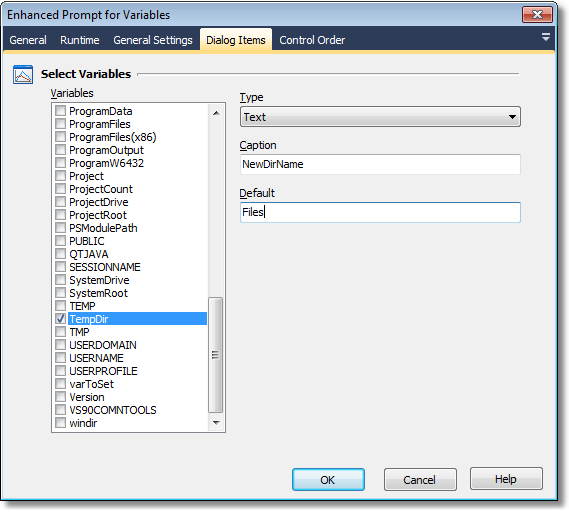 Variables - this list allows you to select which variables should be added to the dialog at runtime. 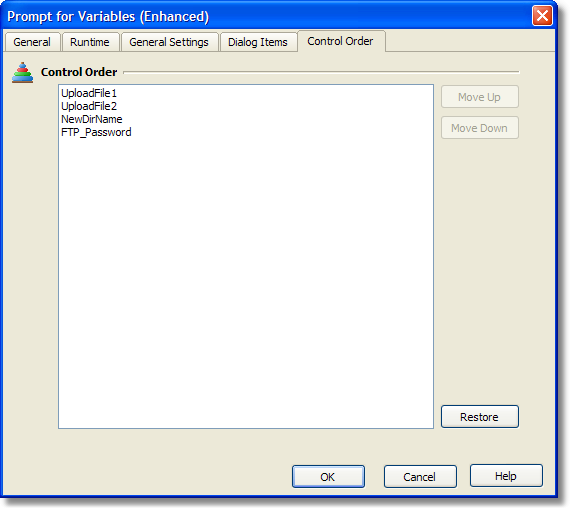 Selecting a variable that is checked allows you to configuring the settings for that variable. Type - choose the type of the variable (this determines the control used at runtime). • Check List - a list of checkboxes with the values as entered in Values. The variable will be set to the text of the checkbox chosen. For "Check List" type prompts, specify default values as a comma-delimited list of values to enable at runtime. This is the prompt form at Runtime, showing 4 variables. Note that clicking on the Cancel button would cause the action to fail and stop the run. Also notice that a timeout has been set and is currently at 23 seconds.